If you are looking to spruce up your backyard, you are on the right page. A super cool and a creative option is to have a fire pit in your backyard, which you can make using creativeand upcycled materials that are trendy but not expensive. Here is a rundown on some of the coolest DIY fir pit designs you can consider for adding features like beauty, interest, and entertainment to your backyard. There can be nothing better than creating something useful out of a waste. Here is one idea you can run with. 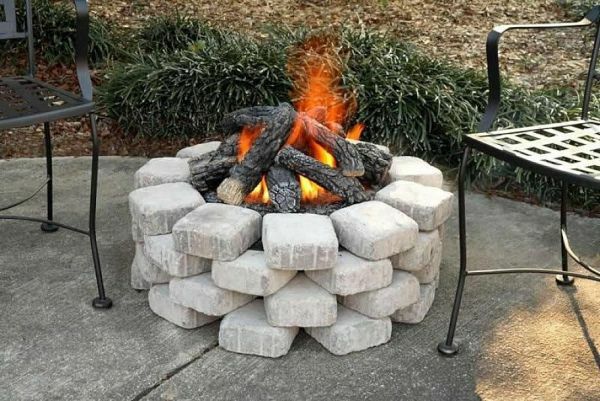 If there is a washing machine lying useless in your store, you can transform it into an ingenious outdoor fire pit. Take out the washing machine drum, and use it as a creative outdoor fire pit. 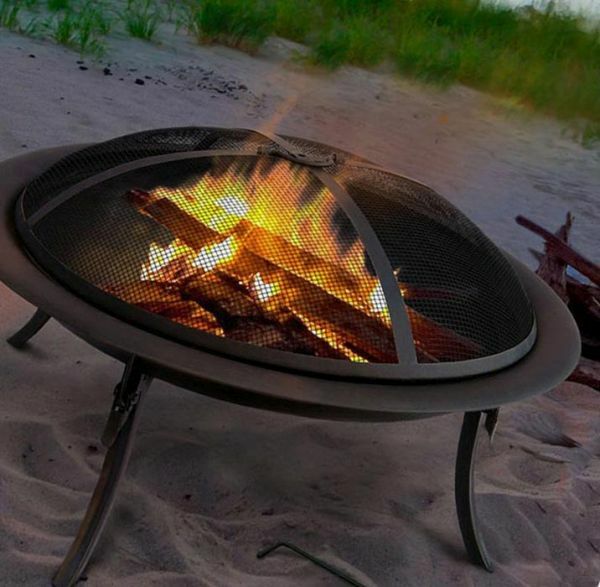 How about having a super techno portable fire pit in your backyard? This portable fire pit can be made using a shopping cart that has a chrome finish. Getting these shopping carts is easy and affordable, as you get many of them these days in thrift shops because the new powder coated shopping carts are in vogue. If you use a powder-coated cart, the heat from burning wood will destroy its finish and it will look ugly. The chrome finish carts withstand the heat and continues to look good after a lot of usage as well. A sleek and an edgy fire pit design that is made of weather-resistant concrete. Its modern look is ideal for making your backyard interesting and stylish. Its design somewhat resembles the Olympic torch. It is a beautiful combination of concrete, fire, and rocks, has a sturdy design and it uses gel fuel. Making it is not that tough but it does require quite a precision. You are not willing to spend much of your money and efforts on making a fire pit in your backyard. You want a design that is simple and not at all complex. 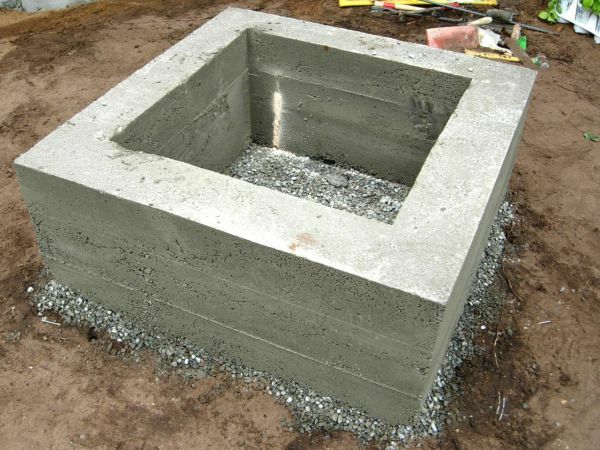 Here is an option for you, go for this simple project of a stone fire pit. You just have to dig a circle and fill it up with sand. Now border the circle with a stone wall that has two layers of stones. 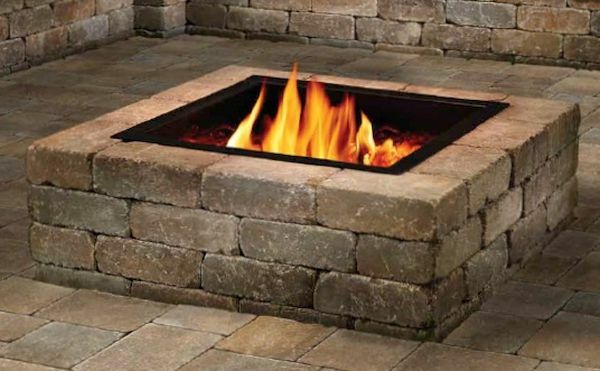 You can increase the height of wall but keeping it low ensures the fire pit gives you all the warmth. It is a simple design and looks extra ordinary in a backyard that already has stone flooring. First, mark a square in a suitable location of your backyard. Dig that section a bit, and then fill it up with sand. Now place stone blocks to make a stone fire pit. Layer the stones to form a square in the backyard. It breaks the monotony of circular fire pits. This is a yet another, very easy to design DIY fire pit project.Besides simplicity, affordability is another feature that adds value to this project. If you are not willing to spend any money on an outdoor firepit, go for this one. 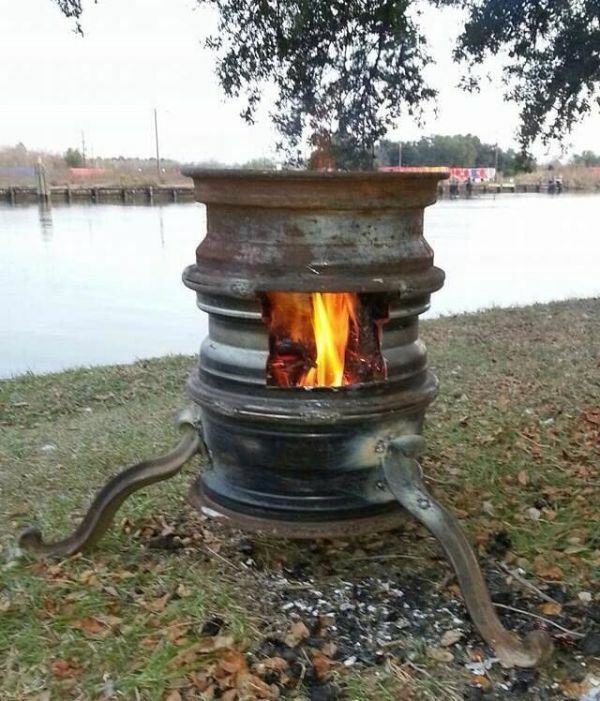 You need to have an old tractor rim for this fire pit. Place it on the ground, surround it with stones and you are done making a cost effective, beautiful, and an efficient fire pit. 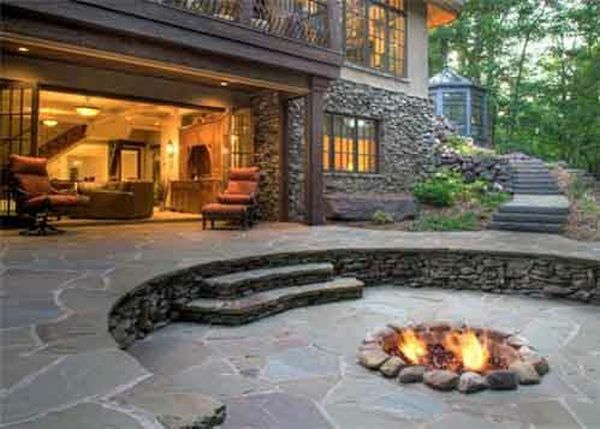 Fire pits add interest and beauty to a backyard décor. You can have DIY fire pits in your yard that look beautiful and they are cost-effective.